Every homeowner enjoys taking advantage of their parcel of land on a nice day. On that pleasant day, you sit facing your perfect lawn. You enjoy your favorite beverage, read your favorite form of media and watch as the sun gives your grass that green shine it always has. Next week however, things won’t be as rosy, you will find that the beautiful symmetrical grass is slowly becoming the next local prairie and the only thing that stands between you and it is a good lawn mower. Lawn mowers come in various types, electric, gas and even battery powered. However none is more synonymous with the classical image of lawn mowing like the reel lawn mower. 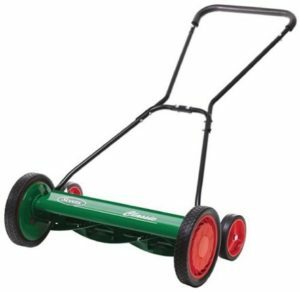 Reel lawn mowers are a type of manual lawn mower that have existed long before the other types and up until this day are still used by many people who have small to medium sized lawns. 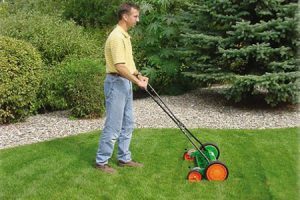 Reel lawn mowers come in various designs and sizes that fit what you desire and being able to choose the one you want for your lawn means you have to know what you should be looking for in a push reel mower. 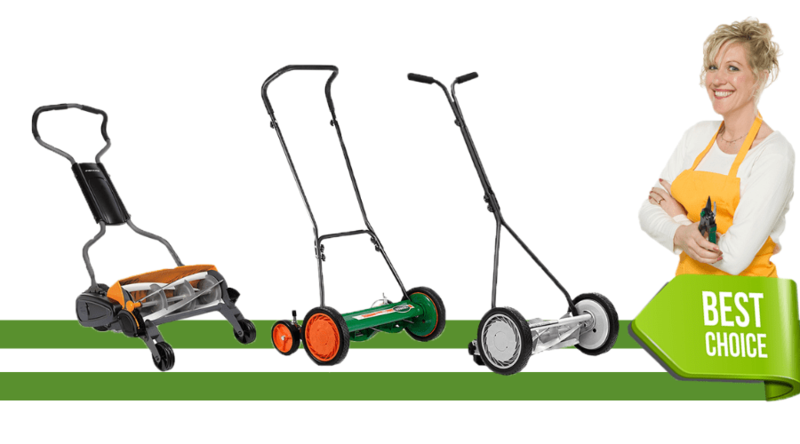 Each reel mower comes with a specific height that it cuts its grass in, some going very low (up to half an inch) and others capable of going as high as 4 height and others are adjustable to provide you with the height you want. How wide do you want the mower to be? 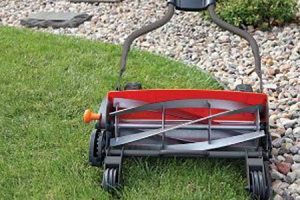 This usually kicks in when your yard or lawn becomes quite big for the small lawn mowers to cut through, usually the wider you get a mower the more length you cover per run but the more likely you will tire out due to the weight(as wider blades are heavier). If you are picking a lawn mower from our reel lawn mower reviews make sure you use the blade length that fits you. 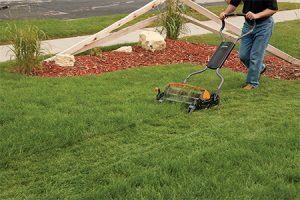 The type of grass in your yard can largely determine the type of reel lawn mower you should purchase. Thick strands of grass require thicker blades and light grass will require lighter mowers. 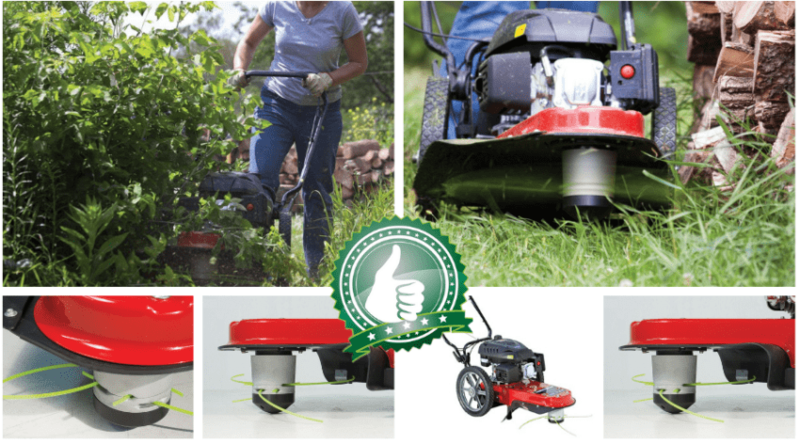 If you have a level lawn, you can purchase whatever reel mower you desire. 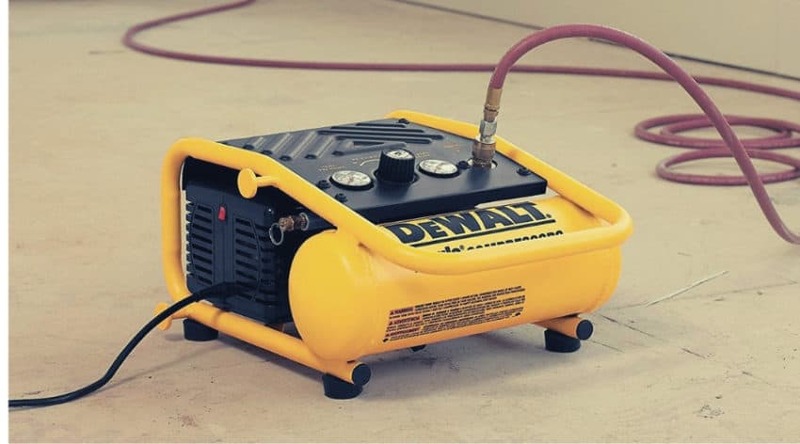 However, if you have a bumpy or sloped lawn, you should look for a lawn mower that cut at any angle so you do not have to spend multiple runs on the same path. 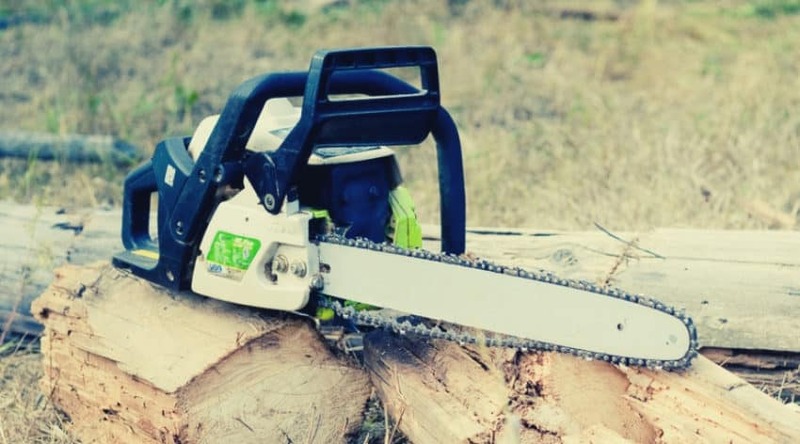 As with all blades, reel mower blades will also dull after continued usage. Finding the lawn mower with durable blades will keep your mowing hassle free and focused on the task at hand. All the cut lawn will need to go somewhere, if you like to mow with shorts for example you might look for a reel mower with a grass catcher or invest in a reel lawn mower that has frontal grass spray. Weight can be a very big impediment the longer you keep mowing. 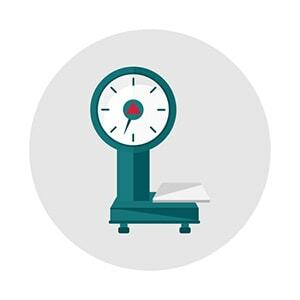 Sometimes for big lawns, it is wise to consider finding the middle ground between weight and slower cutting performance. To have a less tiring and uniform cut on bumpy lawns or hilly turfs. To cut through your grass turf in a fast time while not worrying about any obstacles on your way. 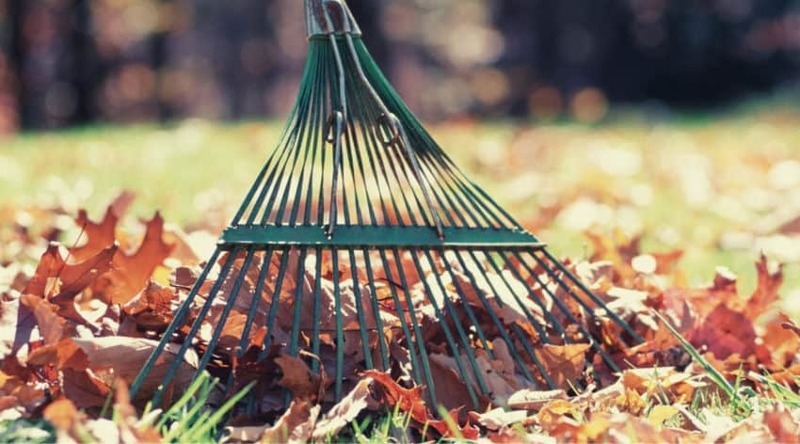 Finding something that can deal with the average lawn and more should you need to. We found that many people prefer the middle ground solution for the possibilities it offers. 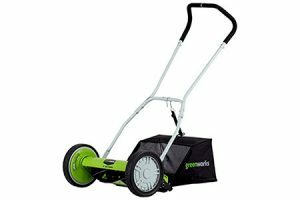 The lightest of our current selection weighing in at only 25 pounds, the Great States 16-inch mower is one of the best light reel mowers around for anyone with a light grass (such as the Bermuda) and a constant mowing schedule. Featuring easy height adjustment from 1/2 to 2 1/2″, a t-style handle for comfortable operation and treated blades that are rust-proof. Add to the previously mentioned features its tool-less assembly and you’re looking at one of the best push reel lawn mowers for anyone with a small lawn filled with light grass. 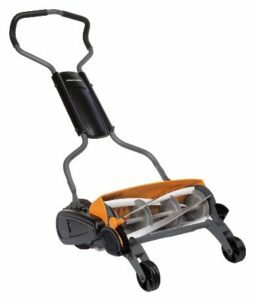 The Fiskars StaySharp is a 50 pound reel mower made for clearing out any obstacles in its path. 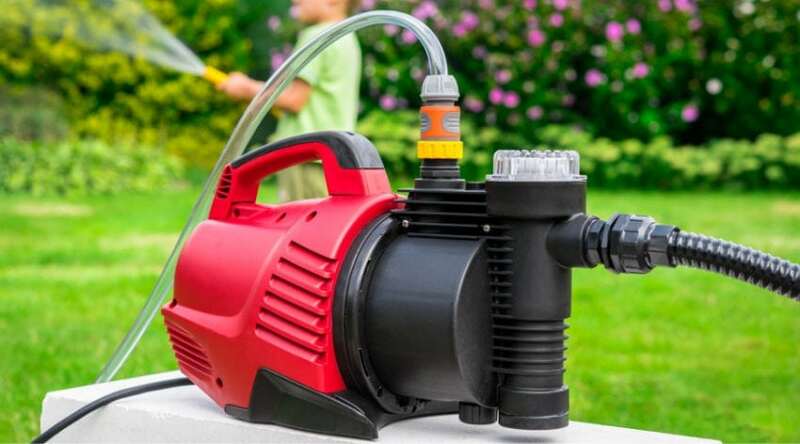 Featuring a forward grass spray mechanism so you can enjoy a prick-less mowing run while leveraging its weight makes it more than capable of cutting through any tough spots that can stop any other mower in its place. Furthermore, its StaySharp cutting system (which cuts grass without touching it) ensures that the blades last while giving great performance. The StaySharp also comes with height adjuster (between 1 and 4 inches) and a patented system that makes pushing this reel mower much easier than what it should be at its colossal weight. This push reel lawn mower is used for large flat turfs and will never give up before its operator as long it is will taken care of. The Scotts 2000 is a 20-inch reel mower for all terrains and all types of grass. 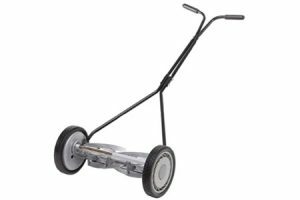 Weighing right between Fiskars and the weight of the Great States 415 (35 pounds) nothing can stand in the path of this mower, be it rocks, twigs and thick grass. 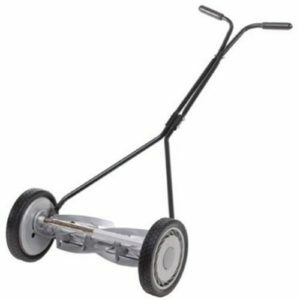 Featuring a 9 height level adjuster that goes from 1 to 3 inches and 5 heat-treated durable steel blades as well as a 4 wheel setup that keeps the mower even while cutting through sloped turf or uneven grass. 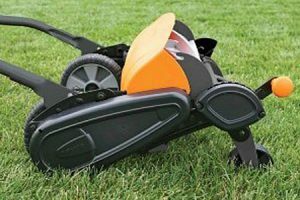 This mower boasts the medium between what the Staysharp can achieve and what the Great States mower is capable of while having a wider blade length to cover more grass at the same time.